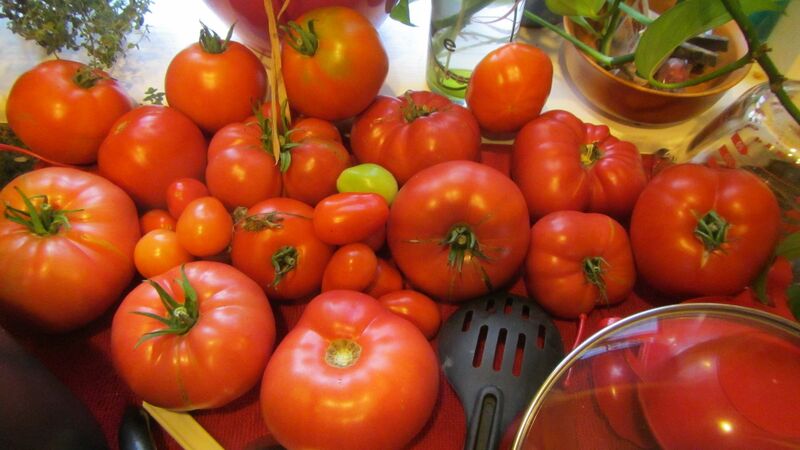 Now is the time of the year when the tomatoes ripen faster than we can eat them. Here's the recipe anyway. You could always make the soup and, if you don't like it, give it away to people who like tomato soup and don't cook.... It freezes well, IIRC. Cut unpeeled tomatoes in quarters, place in a heavy metal saucepan with sugar, butter, onion, bay leaves, celery, and basil. Cover and simmer for 30 minutes. Do not add any water at any time. Simmer over low heat to keep at low boiling point. Pour through a food mill or sieve (food mill is easiest). Put back in saucepan. Add salt, pepper, and lemon juice. Simmer a few minutes. Taste for seasoning. Serve in cups. Top with a spoonful of whipped cream, slightly salted. That sounds lovely! It would be quite a coup if I turned into a tomato soup kinda guy.